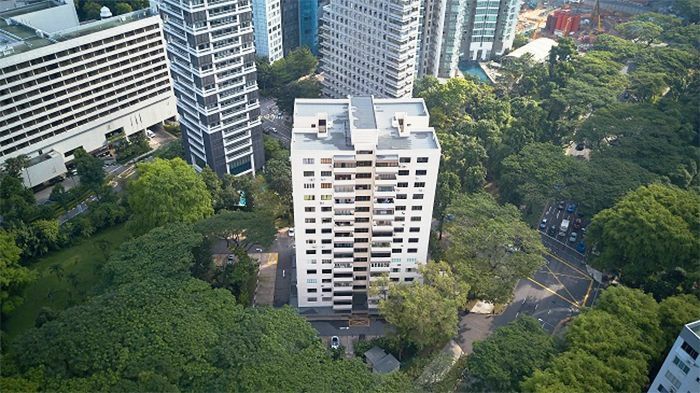 Just less than a week after Hong Kong-listed firm Far East Consortium (FEC) acquired 21 Anderson Royal Oak Residence, Shun Tak Holdings (also from Hong Kong) have snapped up 2 prime sites in Singapore for a whopping total of S$593.5 million. One of them is the 60-unit Park House, situated at 21 Orchard Boulevard. The 46,084 square feet freehold site was acquired for S$375.5 million or a record-breaking S$2,910 psf ppr. Located just next to the brand new 3 Orchard By-The-Park condo and the recently sold Cuscaden Road GLS site, the development comprises of 56 residential units and 4 shops. Each owner at Park House stands to receive payouts of around $6.1 million (for apartment owners) and $8.1 million (for shop owners). The plot is also situated near City Development Ltd’s latest new launch along Cuscaden Road, called Boulevard 88 – selling at an average of $3,300 psf. The Park House en bloc site has a 2.8 plot ratio under the URA Master Plan 2014 and a gross floor area (GFA) of 129,035 square feet. The 2nd site acquired by Shun Tak Holdings is a freehold site located at 14/14A Nassim Road (next to Beaufort on Nassim and close to the Embassy of Japan) – one of the most coveted residential addresses in Singapore, for S$218 million or S$2,744 psf ppr. The 66,452 square feet Nassim Road site has a 1.4 plot ratio and has a GFA go 93,033 square feet. Shun Tak Holdings mentioned that these acquisitions will assist the group in enhancing its existing portfolio (comprising of mainly commercial and hotel developments).